Anyone who has gone through the process of mapping out their retirement knows there can be a lot to keep in mind. Saving, investing, anticipating medical costs, and making sure you have enough tucked away for years to come is just the start. One question many people overlook is: “Should I pay off my mortgage before I retire?” The answer is more complicated than you may think. Imagine you have $300,000 set aside to pay off your mortgage. But rather than using those funds to pay off your mortgage, you instead invest that money. Sure it’s tempting to stop making a monthly payment, but what if that $300,000 earned a hypothetical 6% for the next five years. You would have a little more than $400,000. Yes, your house may appreciate in value over the same period of time, but you should consider all your choices for that lump-sum of money. Before you pay down your mortgage, any extra cash might be better suited to paying off other kinds of debt that carry higher interest rates, especially non-deductible debt, such as credit card balances. Many homeowners benefit from a mortgage interest deduction on their taxes. Here’s how it works: the amount you pay in mortgage interest is deducted from your gross income, which reduces your federal income tax burden. But remember, the further along you are toward paying off your mortgage, the less interest you’re paying. If you’re unsure if you’ll be able to take advantage of this mortgage benefit, it’s best to consult your financial professional. Your monthly mortgage payment may be a large part of your available capital, especially in retirement. Eliminating unnecessary subsidies can significantly reduce the amount of cash you need to meet monthly expenses. Depending on the length of your mortgage term and the size of your debt, you may be paying a substantial amount in interest. Paying off your mortgage early can free up money for other uses. True, you may lose the mortgage interest tax deduction, but remember as you get closer to paying off your loan: more of each monthly payment goes to principal and less to interest. In other words, the amount you can deduct from taxes decreases. There’s a value to your home beyond money. It’s where you raised your children, made fond memories, and you may want it to remain in the family. Paying off the mortgage may help make your home part of your legacy. After all, some things you just can’t put a price on. 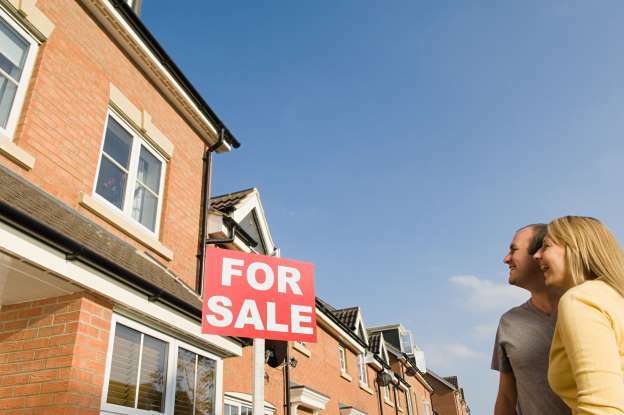 Are You Really Ready to Sell Your Home? Listing just to see what happens may seem like a good idea, but putting a home on the market too soon can backfire in a big way. Selling a home does not happen overnight. Typical sellers reach out to a real estate agent or start researching their home’s value online many months — sometimes even years — before they are ready to put the “For Sale” sign in their yard. Often, a home sale is the result of some life event: a marriage, divorce, death in the family, retirement or another child. It’s typically hard to “time” these events; therefore, it’s not easy to time a real estate transaction. Here are some points a potential home seller should consider before deciding to list their home. If you don’t have a new home to move into or a plan once you sell your home, it’s not a good time to list your home for sale. Sellers without a real and concrete plan are not serious sellers, but only opportunistic. A seller without a plan will likely be “testing” the market, and that translates into overpricing the home. If the seller overprices the home, it’s not going to do her any good. The market is smart, and rarely will a knowledgeable and active buyer overpay for a home. Ask yourself, “If I get an offer and sign a contract for a 45-day close, do I know what I will do?” If the answer is no, you should simply not list, or you will do yourself more harm than good in the long run. Today, with access to so much information online, buyers will know the good, bad and ugly when it comes to listing history and data. If you list your home at too high a price or in poor condition, you risk sitting on the market, without offers and likely without any showings or potential buyers. That lack of interest will follow you. Once you’re ready to sell your home at the right price or in the right condition, every buyer will know your history. They’ll see the series of price reductions, the old photos, or the previous listing when you were not ready to sell. All of the old listing activity sends a message to buyers that there is something wrong with the home or with you. Buyers will hold back on such a stigmatized home, and instead focus on a newer listing that is priced right and shows well. If you know that your third child is on the way, or that your new job is too far from your current home, you’ll have the luxury of not being under the gun. 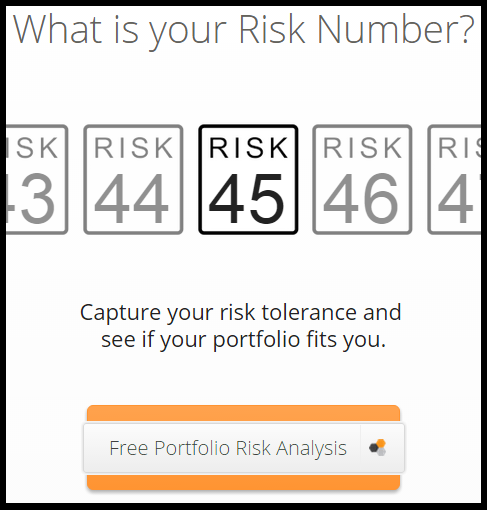 This allows you to take advantage of market conditions, as opposed to timing the market. Knowing that you will list the home in the spring or the fall or in February will enable a smart seller to prep the home, make the necessary improvements and get the property market-ready. Working with a good local real estate agent, you should watch the inventory come and go, see the competition and get the word out at the right time. If a comparable home gets three offers in less than a week, then you know two other buyers are out there. Being ready to go, you can then capitalize on the market conditions. Some of the most successful sales happen in the dead of winter when inventory is low, but buyers are still out. Have a sales plan months in advance. Never list your home before you (or the home) are ready. Many homeowners are emotionally attached to their homes, but listing it at a high price or not making the necessary improvements sabotages their ability to sell it. If you find yourself struggling with the process, don’t list your home yet. Take a step back and wait. The right time will come, and waiting will ensure that you get the most from your investment. Getting ready to sell your house or condo? One of the easiest home improvements to get buyers’ attention is a fresh coat of paint. Plus it’s a cost-effective fix that will make your home look updated – which can translate to increased value. Sara McLean, color expert and blogger for Dunn-Edwards Paints, offers tips on how to choose interior colors that appeal to most people. While neutrals are safe, don’t make the entire home so neutral that it’s boring. An occasional accent wall in a darker or complementary shade adds a designer look. Next step, she advises, is to choose the gloss level. Flat, velvet or eggshell are­ good for interior walls, while a higher sheen looks pretty on trim and in kitchens and bathrooms. The higher gloss levels are easier to clean, so they are ideal for high traffic areas. Look for trim paint that is water based but with the upscale look of oil based. Where Can You Buy a Mansion for $400,000? Detroit. Erica MacKinnon and Bill Sneed have lived all over the world and spent a couple of years in a rented Los Angeles duplex considering whether to move to Miami or Seattle, Oakland or Portland, Maine. Instead, nearly a year ago, the business and life partners packed up and headed to Detroit, which they had visited months earlier in search of computer coders for their small commercial digital-animation company. “We spent three days in Detroit, and we just fell in love with the city,” said MacKinnon, 38. “We couldn’t believe the mix of the location and the water and the people.” They also appreciated the expansive 90-year-old brick homes priced below most nondescript L.A. bungalows. Those homes, in Detroit neighborhoods filled with 4,000- to 7,000-square-foot beauties, are in hot demand, both by newcomers to Michigan and Detroit suburbanites. New residents have come to Detroit from Paris, Panama, New York, Washington and San Francisco, lured to the city by its creative vibe, sense of urban adventure and affordable homes — even when they buy abodes with a butler’s pantry and third-floor servants’ quarters. Buyers think: “Why not trade a two-bedroom apartment in Manhattan and have an 8,800-square-foot mansion in Detroit for half of that?” said Kenan Bakirci, an agent for Max Broock who for almost 20 years has focused on Palmer Woods and Sherwood Forest, two historic neighborhoods in north-central Detroit. In a city where homes still can cost less than a beat-up Chevrolet, demand has revved up for luxury residences that look as if a Bentley or vintage Cadillac belongs in their garages. These high-end homes in the city’s historic neighborhoods frequently attract multiple offers and often sell above the listing price, real estate agents say. Detroit is a city of empty lots and faded or abandoned homes, and the poverty rate is more than twice the national average. Many blue-collar workers live in suburban bungalows, and executives own sprawling homes in the suburban cities of Grosse Pointe or Bloomfield Hills. Many people are not aware of Detroit’s mansion districts, where auto barons and wealthy business owners spared no expense to build homes from 1900 to 1929. Homes in Detroit’s Palmer Woods neighborhood have living rooms large enough to seat 110 at a jazz concert. Some come with carriage houses and basement bars big enough for 50 guests. “Homes that are move-in ready get heated action — multiple offers within the first week,” said Ryan Cooley, who leads O’Connor Realty and landed Sneed and MacKinnon their home. Some receive eight or more offers, he said. In September, MacKinnon and Sneed moved into a stately 1923 brick home with room for an art studio for Sneed, guest rooms for visits by nieces and nephews, and a home office for their Yankee Peddler animation and design company. They beat out several other offers for the home in Indian Village, one of the half-dozen Detroit neighborhoods where mansions and luxury homes or condominiums are found. Homes that four years ago rarely sold for more than $200,000 fetch twice that amount if they are ready for their new owners to move in, real estate agents say. About 15 homes sold for $500,000 or more last year through October, more than double the seven high-end sales for the same period in 2014, according to Realcomp, which runs the city’s multiple-listing service. Austin Black II, a broker and owner of City Living Detroit, says he is amazed at how many executives have decided that it’s time to live in the city of Detroit, because for years they would house-hunt only in the nicer suburbs, where there were 217 million-dollar homes that sold in 2014 and 229 through October, Realcomp data shows. Inventory in the city has been low for months, Black said, with only a handful of homes for sale in prime neighborhoods. It’s gotten so tight, he said, that he has gone door to door in a few neighborhoods seeking people who are ready to put their homes up for sale. “I have 20 or so clients who are ready and able to purchase a home right now. Inventory doesn’t exist,” Black said. Demand in the mansion districts is so high and inventory so low, Black and others say, that some buyers are opting for adjoining neighborhoods, with stately but less elegant homes. The rising home prices may begin to persuade current homeowners to cash in their mansions and elegant abodes, some of which could fetch record or near-record prices. But “because the market is doing so well lately, some sellers get aggressive with pricing” and those homes sell much slower, Black said. To many, the influx of new residents is one of several signs that Detroit may finally be on a roll. Quicken Loans Chairman Dan Gilbert, a Detroit native, is one of the city’s largest commercial landowners, purchasing more than 60 properties downtown for $1.3 billion. And the Kresge and Skillman foundations, JPMorgan Chase and others have committed millions of dollars to revitalization. Still, those efforts are not enough to jump-start the real estate market and undo the prolonged structural decline of Detroit’s housing stock. So city officials have introduced efforts to either raze or auction abandoned houses. And a community bank is experimenting with a program to renovate vacant houses and, if necessary, absorb a loss to sell them to buyers who may not qualify for traditional loans. Detroit has neighborhoods that have been ravaged by years of neglect and middle-class flight. It’s a city where dozens of homes are purchased at auction for as little as $1,000 to $7,000. That helps explain why in Detroit and three adjoining cities, homes sold for a median price of $20,183 last year, which is up from the $15,011 median in 2014 and more than double the median price of 2012, according to Realcomp. Despite an influx of entrepreneurs, artists and hipsters, Detroit’s population fell from 951,000 in 2000 to about 680,250 in 2014. So new residents are moving into a city full of contrasts: Population and employment bases­­­ have declined for decades; crime and insurance for home and auto are high. Yet new restaurants and art galleries are opening, and high-end shops are starting to show up from New York, Germany and elsewhere. Demand for larger luxurious homes may be an indication of Detroit’s comeback; buying has heated up since the city filed for bankruptcy in July 2013 (it emerged about 17 months later). Tech start-ups and boutiques have opened, and investors from China and Europe started buying commercial properties or blocks of homes, many in marginal neighborhoods. Sneed and MacKinnon said they knew that the market was competitive and that they wanted a home in Indian Village, citing its architectural beauty and proximity to the Detroit River and Belle Isle, a city park in the middle of the river. They looked at eight homes and then saw the one they bought: a 4,878-square-foot property on a double lot filled this past summer with peonies, hostas and wind chimes. The Georgian revival has a big homey kitchen and a beautiful fireplace in the living room, four bedrooms on the second floor, and a third-floor office and fifth bedroom. It was spacious without being grand and just felt right from the moment they walked in, MacKinnon said. So they were aggressive and offered $430,000 — well above the $395,000 asking price. The owner accepted in two days. They have learned about their home’s history from him: It was built in 1923 at a cost of $12,750 for W.J. Davidson, who worked in General Motors’ executive offices, and was said to be a wedding present. Despite being self-employed, Sneed and MacKinnon had pre-qualified for a larger loan, so they landed a mortgage quickly using a local lender. Home insurance was a bit trickier, but after shopping around, they are satisfied with the policy’s $2,400 annual premium. Their new home requires some improvements — paint and hardwood floors, electrical and fire- and security-alarm upgrades — but basically it was ready for them to move in, except for cleaning out items left in the basement and a few small repairs. “We have had personal invites to join Thanksgiving parties and 100-year house parties, which is something that never happened in Los Angeles. Back there we never knew our neighbors,” MacKinnon said. Family members have come for visits, including MacKinnon’s mother and sister, who have shown up three times, she said. Other guests say they were misinformed about Detroit, from negative headlines, and appreciated the food culture, parks and how easy it is to get downtown. For some higher-priced deals, buyers need to put down more cash because their homes may not appraise at the prices they are paying, some agents said. Some offer all-cash purchases — an easy choice for New Yorkers who sell their $3 million apartment and buy a $500,000 mansion. About 40 percent of high-end purchases are all-cash sales, Cooley estimates. Nationwide, 27 percent of housing purchases were all cash in November, often by investors, according to the National Association of Realtors. Valrie Honablue, a psychiatrist who grew up in Panama, paid cash for her first Detroit home in 2010. She was living in Atlanta when she read about Motown’s real estate opportunities. “The prices are so low; something is wrong,” she said. So she drove to the city to see for herself. She bought one in Indian Village. Shortly after moving to Detroit, she left for “the job of a lifetime” but bounced back within two years, drawn by “the people and the possibilities” and the beautiful homes. Her second Detroit home had been vacant for 17 years when she bought it in June 2014. She got it for a bargain price but expects to spend five or six years renovating it, partly to spread out the improvement costs. Warmack, her agent, calls her “the pied piper of Detroit.” A dozen people have followed Honablue to the city and bought homes. Many who move to Detroit bring their jobs or businesses with them. Sneed and MacKinnon are among them. “We just couldn’t get ahead” in Los Angeles, Sneed said. Now after nearly a year in Detroit, they operate their Yankee Peddler animation company from a loft, own a huge home with oversize gardens, and have made new friends who clue them into culture, festivals, dog parks and more. American homeowners are finally digging out of the hole created by the housing crisis. But their housing wealth is playing a much smaller role in the overall economy than it did before the downturn. Such a levels once would have offered a double-barreled boost to the economy by providing owners with more money to tap and making them feel more flush and likely to spend. But today, that newfound wealth has had little effect on behavior. While the traditional ways Americans tap their home equity—home-equity loans, lines of credit and cash-out refinances—are higher than last year, they are still depressed. In the first half of the year, owners borrowed $43.5 billion against their homes with home-equity loans and lines of credit, according to trade publication Inside Mortgage Finance. That was 45% higher than in the first half of 2014, but scarcely a quarter of the amount seen when equity was last as high in 2007. Meanwhile, cash-out refinances, which let homeowners take out a new mortgage and tap some of the home’s value at the same time, were up 48% in the three months ended in August from the year-earlier period, according to Black Knight Financial Services. But they remain below the level of summer 2013. The average cash-out refinance in the three months ended in August left the borrower with mortgage debt of about 68% of the home’s value—not a risky level by any stretch. Home equity’s effect on consumer spending is at its lowest ebb since the early 1990s, according to the Moody’s Analytics. The research firm estimates every $1 rise in home equity in the fourth quarter of 2014 would translate to about two cents of extra consumer spending over the next 1 to 1½ years. That was a third of the impact home equity had before the bust, Moody’s said. The impact is more muted now despite the fact that home equity per homeowner has roughly doubled. At the end of the second quarter, the figure was about $156,700, up from $81,100 in the second quarter of 2011, according to Moody’s Analytics chief economist Mark Zandi. Though the homeownership rate has fallen, the total number of households has increased, meaning the number of households that own hasn’t changed much since the housing bubble burst in 2006, Mr. Zandi said. Why aren’t homeowners feeling flush again? For one, since rising home prices over the past few years largely have made up for ground lost during the recession, many owners might not even realize they have equity to tap. The percentage of homeowners who were underwater, or owing more on their mortgage than the home’s value, dropped to 8.7% by mid-2015 from 21% at the end of 2011, according to CoreLogic. Yet the percentage of homeowners who thought they were underwater fell by merely one percentage point to 27%, according to housing-finance company Fannie Mae. The bust looms large and home equity is seen as more fleeting than it used to be, said Fannie Mae chief economist Doug Duncan. “Consumers are definitely more conservative financially than they were 10 years ago. They’ve seen that house prices can be volatile,” Mr. Duncan said. Mortgage lenders also aren’t giving owners access to as much equity as they used to. While it was common during the boom to see loans that took out 100% or even more of a home’s value, now few will let an owner take out more than 80%. Finally, other kinds of loans are cheaper, removing one incentive to tap home equity. Six years ago, for example, the average five-year new-car loan had an interest rate of 6.83%, versus 5.56% for a $30,000 home-equity credit line. But in the week ended Nov. 11, the average interest rate for a five-year new-car loan was 4.3%, according to Bankrate.com, versus 4.74% for the HELOC. Home equity as a share of real-estate values at the end of the second quarter was 56%, according to the Federal Reserve, not quite back to the level of 60% seen in the boom. That means Americans’ mortgage debt is still elevated relative to home values, which could be another factor affecting the decision of whether or not to cash out equity. Could home equity start to flex its muscle sometime soon? Some economists think it might. One reason: In many metro areas, home prices have overtaken or are about to overtake their boom-era peak. At the end of the third quarter, about 38% of metro areas had prices above their pre-2009 peak, up from 30% last year, according to Moody’s Analytics and CoreLogic. Another 13% of metros are within 5% of their pre-bust peak. That’s important, because it means new home equity is being created rather than merely making up for lost ground. It also means fewer homeowners are underwater, freeing them up for a home sale and potential move-up purchase while also making home improvements and renovations seem less like throwing good money after bad. Buying a house with that front porch and white picket fence is every American’s dream. However, buying your first home is not all what you would expect. Yes, you sign a contract and pay for your deposit. But there is so much more time and effort to the entire home buying process than most would believe! If you spot any damage to the house that you are about to purchase, be aware that the seller is not at all obligated to fix these issues before you buy the house! It makes sense that the seller should fix their home just so they could sell it at a higher value, but it is not a requirement for them to do so. However, as the buyer, you can rescind your offer if these required repairs are too costly for you. So if you hire a home inspector and are presented with a long list of issues with the house, you may need to reevaluate the worth of your purchase. Since the seller isn’t forced to fix these problems, the money that is needed for these repairs will just be an added cost to your purchase! Therefore, if you are setting a budget for the maximum amount you are willing to pay for a house, you need to factor in the costs for repairs to that total as well! In addition to that, if you do not fix the crucial parts of the house that is in need of repair, you may even be dropped from your homeowners insurance! This is serious because sometimes they give you a limited timeframe where you need to finish your repairs, and you might not be able to afford the costs of these repairs just yet. So be sure that you read the fine print when you are applying for a homeowner’s insurance and are aware of all of the policy measures. But first, before you even settle on a specific homeowners insurance provider, make sure that they will cover the basic but important things that you will need. These may include, floods, break-ins, earthquakes, etc. Another thing you might not be expecting is that even if you get an inspector to check for needed repairs in your potential home, which is pretty costly, it won’t even be as thorough as you would prefer. Home inspections are pretty expensive. Usually, most buyers are so eager to speed up their timeline that they fail to do their research and compare the fees between inspectors. So the opt for the first one that they find, which may not be the cheapest. And even if a regular home inspector completes a sweep-through of the house, you might need specialized inspectors to check the more detailed parts of the house. However, just because a home inspector said your house doesn’t have any significant issues, doesn’t mean that you are free from any worries, especially if the house is an older one. These inspectors have a limited scope as to what they can see since they are not allowed to break through the walls to check the internal structure. Therefore, you need to consider the fact that the projected worth and safety of the house is not a guarantee. When buying a house, there will be many aspects in this process that you will not be expecting. Overall, it will be very time consuming and you will face many obstacles if you are not prepared. So before you decide to accomplish every American’s dream of buying your own house, make sure you do your research and have the proper amount of money that it realistically entails! The current housing boom has Dallas solidly in its grip. As in many cities around the US, prices are soaring, buyers are going nuts, sellers run the show, realtors are laughing all the way to the bank, and the media are having a field day. Nationwide, the median price of existing homes, at $236,400, as the National Association of Realtors sees it, is now 2.7% higher than it was even in July 2006, the insane peak of the crazy housing bubble that blew up with such spectacular results. 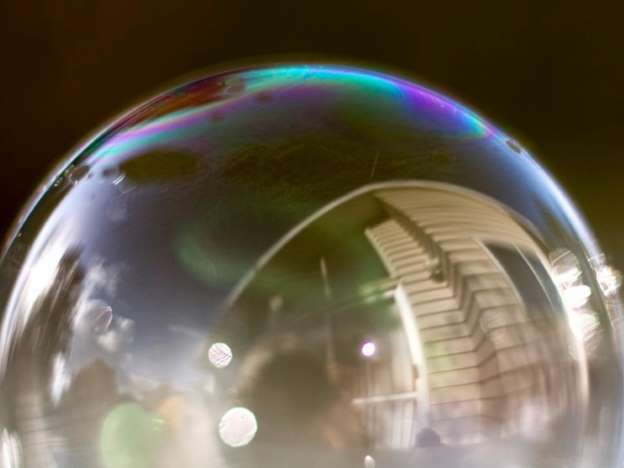 Housing Bubble 2 has bloomed into full magnificence: In many cities, the median price today is far higher, not just a little higher, than it was during the prior housing bubble, and excitement is once again palpable. Buy now, or miss out forever! A buying panic has set in. “Dallas Real Estate 2015: The Hottest Market Ever,” the subtitle says. That’s true for many cities, including San Francisco. The “Boom Town,” as it’s now called, is where the housing market has gone completely out of whack, with a median condo price at $1.13 million and the median house price at $1.35 million. This entails some consequences. The fact that Housing Bubble 2 is now even more magnificent than the prior housing bubble, even while real incomes have stagnated or declined for all but the top earners, is another sign that the Fed, in its infinite wisdom, has succeeded elegantly in pumping up nearly all asset prices to achieve its “wealth effect.” And it continues to do so, come heck or high water. It has in this ingenious manner “healed” the housing market. But despite the current “buying panic,” the soaring prices, and all the hoopla round them, there is a fly in the ointment: overall homeownership is plunging. The homeownership rate dropped to 63.4% in the second quarter, not seasonally adjusted, according to a new report by the Census Bureau, down 1.3 percentage points from a year ago. The lowest since 1967! The process has been accelerating, instead of slowing down. The 1.2 percentage point plunge in 2014 was the largest annual drop in the history of the data series going back to 1965. And this year is on track to match this record: the drop over the first two quarters so far amounts to 0.6 percentage points. This accelerated drop in homeownership rates coincides with a sharp increase in home prices. Go figure. The plunge in homeownership rates has spread across all age groups, but to differing degrees. Younger households have been hit the hardest. In the age group under 35, the homeownership rate in Q2 saw a slight uptick to 34.8%, from the dismal record low of 34.6% in the prior quarter. Either a feeble ray of hope or just one of the brief upticks, as in the past, to be succeeded by more down ticks on the way to lower lows. The bitter irony? In the same breath, the Census Bureau also reported that the rental vacancy rate dropped to 6.8%, from 7.5% a year ago, the lowest since 1985. America is turning into a country of renters. This chart shows the dynamics between homeownership rates (black line, left scale) and rental vacancy rates (red line, right scale) over time: they essentially rise and dive together. It makes sense on an intuitive basis: as people abandon the idea of owning a home, they turn into renters, and the rental market tightens up, and vacancy rates decline. This too has been by design, it seems. Since 2012, private equity firms bought several hundred thousand vacant single-family homes in key markets, drove up prices in the process, and started to rent them out. Thousands of smaller investors have jumped into the fray, buying homes, driving up prices, and trying to rent them out. This explains the record median home price across the country, and the totally crazy price increases in some key markets, even as regular Americans are trying to figure out how to pay for a basic roof over their heads. This has worked out well. By every measure, rents have jumped. According to the Census Bureau’s report, the median asking rent in the US rose 6.2% from a year ago, and 17.6% since 2011. So inflation bites. But the Fed is still desperately looking for signs of inflation and simply cannot find any. And how much have incomes risen over these years to allow renters to meet these rising rents? OK, that was a rhetorical question. We already know what has been happening to incomes. That’s what it always boils down to in the Fed’s salvation of the economy: people who can’t afford to pay the rising rents with their stagnant or declining incomes should borrow the money to make up the difference and then spend even more on consumer goods. After us, the deluge. And . . . they’re back. 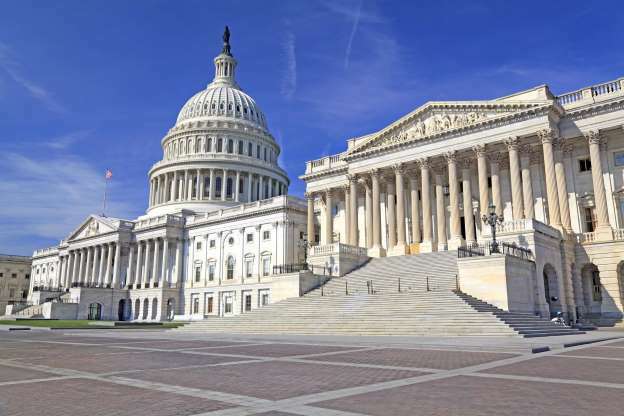 The temporary tax breaks known as “tax extenders” that caused so much tension on Capitol Hill in late 2014 are returning to the legislative fore as the Senate Finance Committee prepares to mark up a bipartisan effort to reinstate them for two years. A quick refresher: The tax extenders are an alphabet soup of special tax provisions, mostly targeted at business, that most members of Congress seem to believe ought to be made permanent, but which never are. These include things like mortgage insurance premium deductions on individual tax returns, businesses tax breaks for research and experimentation costs, and tax credits for energy efficient construction. They also contain a number of highly targeted tax breaks that some find objectionable. There’s a special allowance for Puerto Rican rum, a cut tailored specifically to the owners of NASCAR tracks, and possibly the most controversial, a cut for the mostly wealthy owners of racehorses. The extenders also cost a lot of money. They represent foregone tax revenue of more than $150 billion in Fiscal 2016 alone. A large number of the provisions are meant to create incentives for certain desirable behavior – getting businesses to invest in research, or homeowners to pay for energy efficient upgrades. But the creation of effective incentives requires lawmakers to provide taxpayers with certainty that the tax benefits will be there when it comes time to file for them. And lawmakers haven’t been very good at that. Wyden wasn’t wrong. The tax breaks the bill authorized promptly expired two weeks later, at the beginning of tax year 2015, meaning that whatever incentive effect they are supposed to have is being watered down by the uncertainty of their passage this year. The bill to be considered by the Senate Finance Committee tomorrow contains 52 different provisions, 31 of which apply to business taxes, while 13 are energy-related and another eight affect individual income tax returns. “This markup will give the Committee a timely opportunity to act on extending a number of expired provisions in the tax code that help families, individuals and small businesses,” said Sen. Orrin Hatch, the Utah Republican who took over the chairmanship of the committee when the GOP took control of the Senate in January. However, if history is any guide, this is little more than wishful thinking. Last year, the Finance Committee’s mark-up took place in April, and the extenders still languished until December. Part of the reason is that the tax-extenders are seen as must-pass legislation, which means that they often get held up to be used as possible leverage for difficult negotiations on related legislation. Another reason is that Republicans in the House of Representatives remain interested in breaking up the extenders package, and making some of their favored tax breaks permanent. Democrats have fought this approach in the past, and it’s unclear the there is much reason to expect it to be successful this time around, either. However, it’s another argument that could leave the package in limbo until the last minute.